United turn up the heat at Turf Moor. After departing gracefully from the Europa League last Thursday following the drawn second leg against Olympiakos; Burnley fans made their way to Turf Moor yesterday hoping for a “Brexit Dividend” in the form of a win over a Manchester United team said to be in turmoil after back-to-back defeats. Sadly, Burnley instead suffered a “cliff-edge Brexit” as United, garnered their considerable resources to inflict a 2-0 defeat on the Clarets courtesy of two Romelu Lukaku goals in the first half. Both goals were indeed further evidence of where Burnley’s problems have lain during this early part of the season. Firstly, Lukaku was allowed time and space in the penalty area to head powerfully past Joe Hart; then on the stroke of half time, he seized on hesitancy and indecision amongst Burnley’s defenders to prod home his and United’s second. Those who suggested that this was a good time for Burnley to be playing United were always going to be proved wrong. United simply do not lose three games in a row and they possess more than enough talent, stubbornness and professional pride amongst their squad to circle the wagons, repel criticism and prove their point. Mercifully, Burnley did not wilt in the second half, and some slender green shoots of optimism can be gleaned from the fact that Burnley did at least give it a good go. Joe Hart’s save from Paul Pogba’s ludicrous ambling approach and weak spot-kick was a particular highlight and had Burnley been able to take immediate advantage of Marcus Rashford’s red card, then there might have been a stirring climax to the game. As it was, United were able to re-group and retreat into their bunker; a couple of headers which David de Gea was able to drop on comfortably and a late one from Vydra which he put over the bar, were all Burnley could summon by way of a goal threat, despite their considerable endeavours. The international break now allows the Clarets a chance to hit the reset button; to spend some meaningful time on the training ground, ironing out the wrinkles and repairing the faults that have become evident in their play this season. A re-alignment of the defence is called for, as Burnley are leaking too many goals and if the defence isn’t functioning, they are not a team who are likely to come out on top of a goal-fest. Further forward, more imagination and creativity is called for; the strikers need to make more searching runs and the midfield need to recognise those runs and deliver the appropriate passes. The next four games offer Burnley an opportunity to get their season rolling; Wolves and Cardiff away and Bournemouth and Huddersfield at home. They won’t be easy, but they must surely be looked upon as winnable. Finally a word about the Europa League campaign; I cannot and will not subscribe to the view that their departure before the group stages of this torturously drawn out competition is some sort of blessing. Clarets fans have waited half a century to see their team in European competition and for my money that means more than a mid-table tenure in the Premier League. Should their European excursion come at the cost of relegation, then so be it. Burnley would be back in the Premier League sooner than they would be back in Europe. 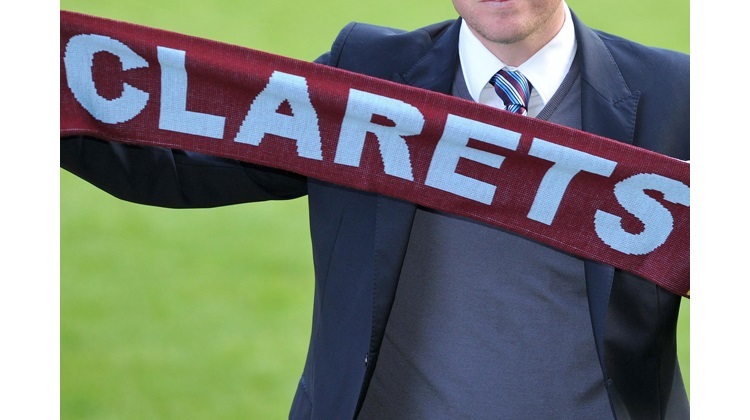 Written by Clarets Mad guest writer, Dave Thornley.